Pretty Country Setting! 1.8 +/-Acres overlooking Woods! Detached Oversized Garage for Mechanics/Hobbies! Love the Location- Just Minutes to I-275/Downtown*3/4 Bedrooms*3 Full Baths*2nd Floor Master w. Cathedral Beamed Ceilings/Adjoining Full Bath*Partially Finished Walkout Basement*Newer Heat Pump w. Dual Fuel Oil Backup*Newer A/C*Water Heater 3 Yrs. 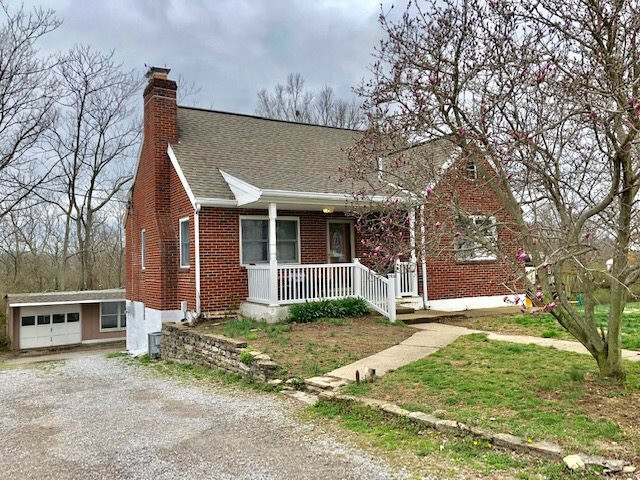 Old*Updated Kitchen & Baths*Needs a Little TLC, but Lots of Home/Land for Your Money! One Year Home Warranty Included for the Buyer! Kitchen Appliances/Older Freezer in Basement/Riding Mower w. Small Dump Trailer is Included for Buyer!